Total corn area is minimal with about 4,500 HA, of which 90 percent is for silage corn and the rest is for grain corn production, producing 700 tons of grain in MY 2014/15. Post estimates that local grain corn production will not change significantly in the coming years and will total 600-1,000 tons per year. 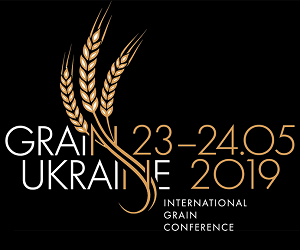 Due to significantly lower levels of feed wheat imports in MY 2013/14 and MY 2014/15, Israeli importers increased corn imports from Ukraine, US, Brazil, Argentina, Moldova and Romania, which in MY 2015/16 and MY MY2014/15 are expected to reach a record high of about 1.7 million tons, a 24 percent increase compared to MY2013/14 (an all-time record). In recent years, corn has been imported mainly from Ukraine, Argentina and Brazil. In MY 2013/14, 397 TMT of U.S. corn was exported to Israel from 9/1/2013 to 8/31/2014. So far in MY2014/15, U.S. corn has not been exported to Israel. The dramatic decline of U.S. corn exports to Israel in recent years, are due to the competitive pricing of Ukraine and South American corn, and the superior quality of corn from these origins. Additionally, Ukrainian and other BSB corn sources' proximity to Israel resulting in freight advantage over the United States and South America. Post estimates that 95-100 percent of corn imports to Israel in MY 2015/16 will come from Ukraine, Argentina and Brazil while the U.S. share will be negligible. Corn imports over the past 10 years have ranged between 900-1,700 TMT and are expected to be at the high levels in the coming years (1500-1800 TMT).